An internet based-cv where the chat bubbles are very interesting to use. An original cv format, for sure! 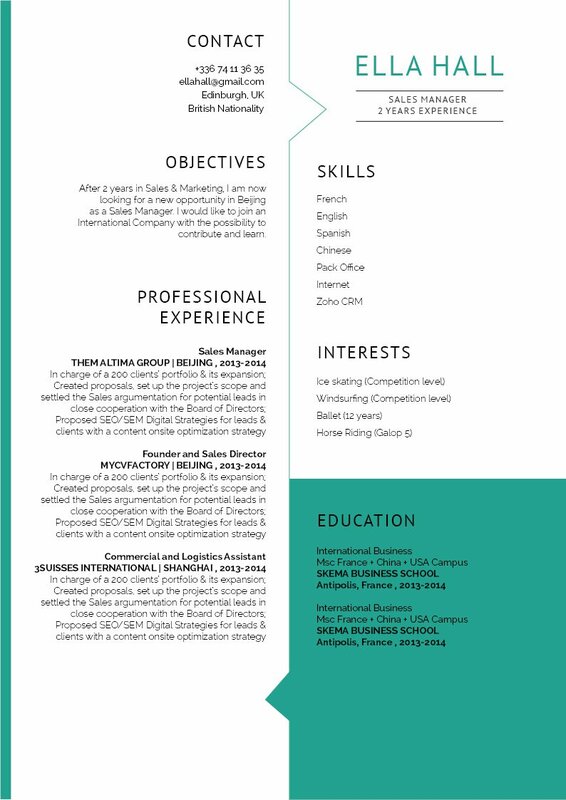 CV template to download "Fabulous"
The Fabulous resume has a clear and comprehensive format that is sure to impress your to help you land a job in the market! 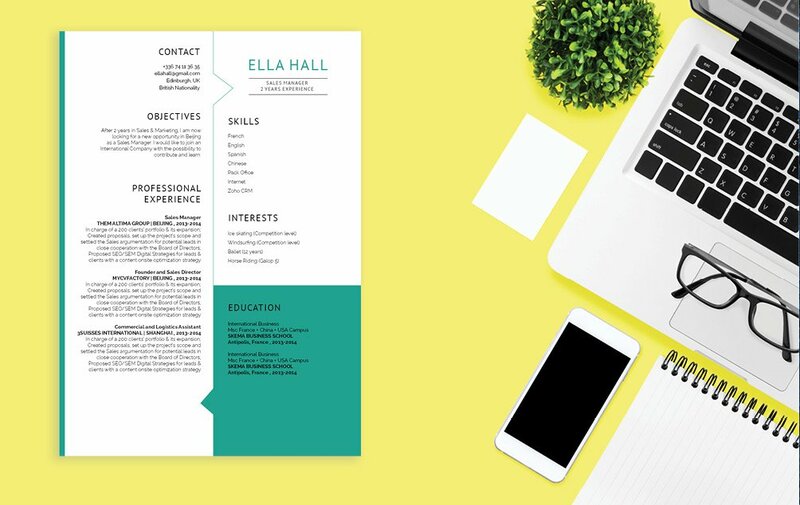 This modern resume template features a selection of colors, shapes, and texts that give it an eye-catching design. All the pertinent information written in your cover letter can be seen at a glance, this greatly lends to its over-all functionality that is sure to impress your potential employer. 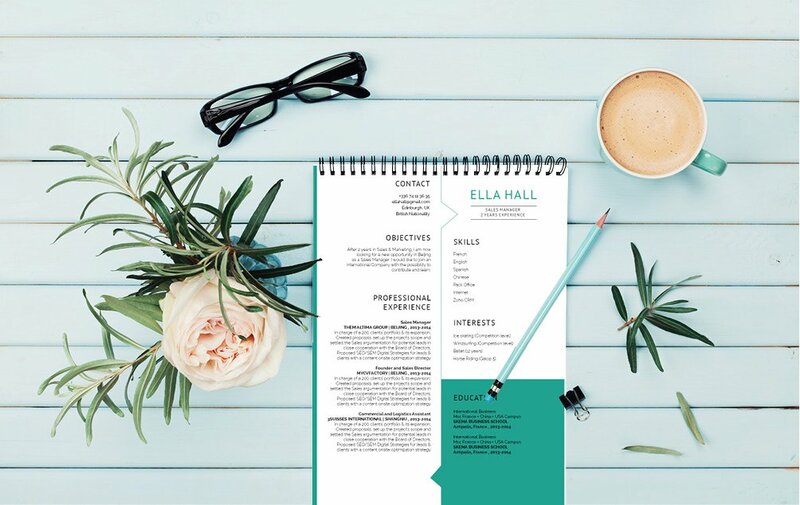 This is one resume that has a design that is applicable to all job types and is sure to help you land that dream job! How can you make your resume more attractive? That's simple—just write a comprehensive and effective resume format! Your resume will surely land you that dream job! One key factor in making a good resume is how understandable you created its format and over-all lay out. Typically, a resume is just scanned for about 10-30 seconds—it doesn't get a full reading the first time through. Therefore, in that short amount of time, you should be able to present all your information clearly! To achieve this, use simple yet professional looking fonts such as Seriff or Sans Seriff fonts, limit your font sizes between 11-12, and use italic/bold font styles to help guide the reader's eyes along your resume. 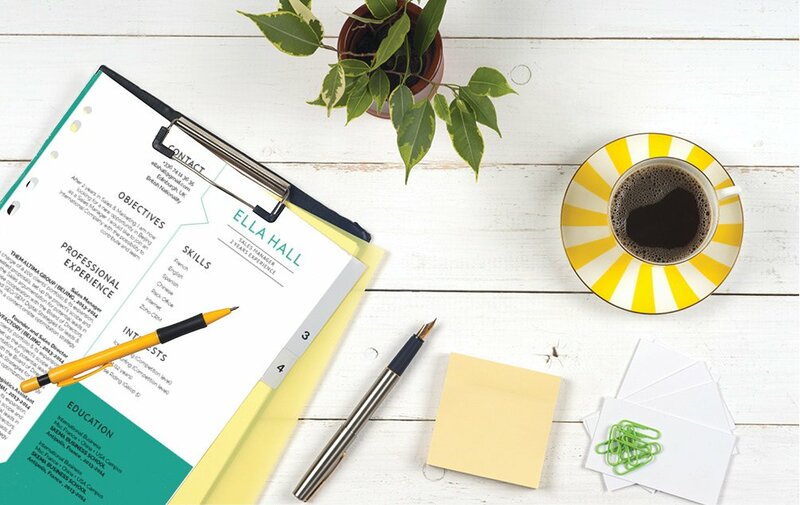 This effectively gives your resume a cleaner and less-cluttered look.